You may have heard of the term "PageRank" as a measure of the popularity of a particular website. PageRank is an algorithm (named after Larry Page) and used by Google to measure the "status" of a website based on links, especially links from other sites deemed to be "important." The higher your PageRank, the more prominence given to your site in organic search engine results. Guest blogging (as outlined in last week's "Guest Blogging How-To" series) can be a great way to build your website or blog's PageRank. How do you get PageRank using guest blogging? In short, MyBlogGuest is a free forum where webmasters who want guest bloggers go to look for guest bloggers. 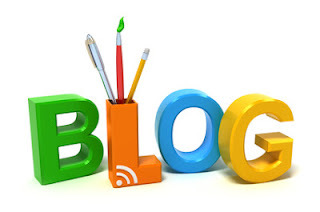 Guest bloggers who want to write for other people also use the site to find sites to blog on. 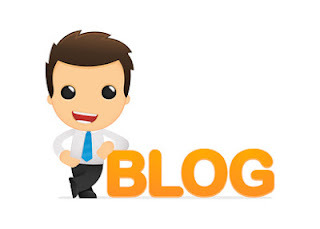 Check the PageRank of the sites seeking guest bloggers before contacting the webmaster. Also take a look at the number of other links the site is linking to. Assess the level of quality of the content. Is this a site you want to be associated with? With PageRank-oriented guest blogging, you'll be playing a numbers game. Instead of always going for quality, sometimes you just want to get as many PR2 and PR3 links as possible. The bottleneck for generating medium PageRank links from guest blogging won't be a lack of webmasters who'll let you guest blog for them. Instead, the bottleneck will most likely be your production capacity -- how many blog posts you can produce. It's not at all unlikely that you could get as many as 10 webmasters to agree to let you guest blog for them every week. That's 40 PR 2 to PR 4 links every month. Keep that up for a few months and your PageRank will skyrocket. However, you'll have a tough time keeping up with that kind of volume unless you're dedicating yourself just to guest blogging. It's not just the writing of articles. It's also continually browsing MyBlogGuest for new opportunities. It's pitching your site. It's keeping track of who's replied and who hasn't. It's writing the actual content. It's then tracking all your pieces of content to make sure the site owner actually put it up. Instead of juggling all this work, systematize it. Create a list of all the active "connections" you have with the other site owners. 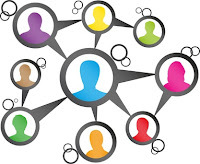 Make notes about who you've contacted and where you are in the process of getting linked to. Guest blogging for PageRank is all about systematizing the process of getting moderate and occasionally high PageRank links. "How does guest blogging stack up against other methods to get visitors (traffic) to my resume writing business website?" Many resume writers are familiar with "paying" for traffic (visitors) to their website, using pay-per-click (PPC) advertising -- like using Google's AdWords or Facebook ads or similar services. Guest blogging usually precedes PPC. They aren't mutually exclusive. Most resume writers use blogging to drive "free" traffic to their resume writing business website, while PPC ads are "paid" traffic. In order to succeed in paid advertising, you need to have a very streamlined conversion funnel. (It needs to be clear how prospects can become resume clients; otherwise, you're driving visitors to your site, but not turning them into clients.) In other words, you need to know that for every $1 you spend on PPC, you're earning $1.20 or more back from the lifetime value of that customer -- even if you lose money for the first few weeks or months. Otherwise, paid advertising can quickly consume a lot of your money. Most guest blog posts won't get you as much traffic as PPC. It won't be as consistent either. (You'll likely get an initial surge of traffic, and then it will fall off.) 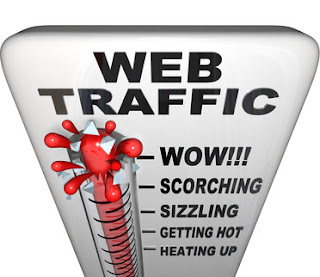 However, the traffic you'll get will be targeted and -- most important, it's free. One great strategy is to use guest blog posting to fine-tune your funnel and make sure you can convert before you move onto paid traffic methods. This is one of those rare cases where there's a clear winner. There's just no question about it: guest blogging beats article marketing, hands down. Article marketing will get you into article directories and perhaps a few small, low-authority fringe sites. Guest blogging will help you build massive PageRank, while article marketing won't do much for your PageRank at all. If you're going to go through the trouble of writing articles, you might as well do it right and go the guest blogging route. Should you focus your attention on SEO or on guest blogging? The best answer is to make guest blogging part of your SEO strategy. It's true that guest blogging may not be the fastest way to build backlinks. However, the guest blog post you write will bring in real traffic, while the links you generate purely for SEO probably won't bring you much traffic at all. 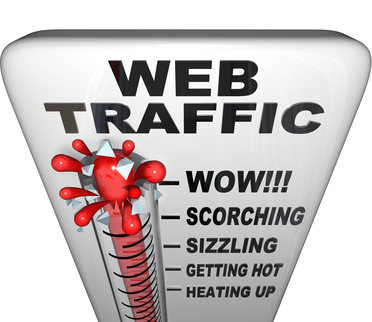 This real traffic could result in both sales and additional backlinks. Furthermore, people often underestimate Google's ability to figure out what a real backlink is. In short, you don't have to make guest blog posting your exclusive tactic. Use it as part of your SEO strategy to bring in real visitors to your resume writing business website. In Wednesday's blog post, I talked about "How to Find Guest Blogging Opportunities" -- but the resource I mentioned, MyBlogGuest, focuses on middle Pagerank sites. What if you're looking for the big time? Today's blog post is about how to get a post published on a high profile blog. High profile guest blog posts are the holy grail of guest blogging. Sure, you can blog for small blogs all day long, but that won't have nearly the impact of landing just one high profile guest blog post. So how do you land these high profile guest blog posts? When someone lets you guest blog for their site, they're implicitly endorsing you. They're not going to do that unless your own website is truly top notch. In other words, make sure the content on your resume writing business website provides immense value. Make sure your design looks highly professional. Make sure someone who sees your blog will think of you as an authority and would want to partner with you. If a site has never accepted a guest post in its history, you might have a hard time convincing them to accept yours. On the other hand, if they've been consistently publishing one or two posts by other authors every month, you might have a very good chance. One simple way to figure out whether or not a site accepts guest posts is to type in [site:urlname.com "guest post"] in Google. This will bring up all entries that have the words "guest post" on a specific site. If there are no results, try a few more queries like "guest author." 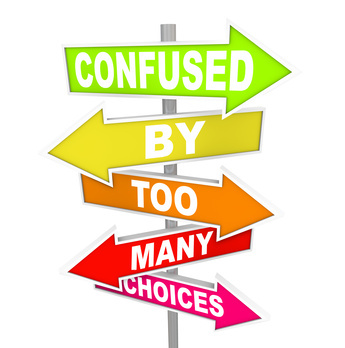 If you can't find any guest blog posts, it's best to focus on a different site. While you can just approach a blog site owner out of the blue, it's often better to try to build a connection first. Start commenting on their blog for at least a month before you want to request a guest blog post. Answer their questions and aim to become an active member of their community. Contribute. Do the same with Twitter. Retweet things that they tweeted. @reply to them when they ask a question. Get yourself on their radar. Finally, send them a short email outlining your proposal. Try to come up with three topics that you think their audience will love. Tailor each request to the blog specifically. Come up with topics you think their specific audience would benefit from. Let them know that it's easy to publish your article and that it won't be republished anywhere else. All you ask for is a link back to your website. Remember that blog authors need content as much as you want to get content published. By giving them a high quality blog post, you're saving them as much as a day by not having to write their own content. What you're proposing is a win/win, as long as you have enough trust and quality. That's how to land high profile guest blog posts! This is an issue that can stump you while you're blogging -- whether for your own blog or when guest blogging. When you're stuck in the "I don't know what to write" trap, here are some ideas to get you started. Make sure you pick a specific number of tips and place it in the title. Odd numbers seem to work better than even numbers. "How to Make Sure Your Finance Resume Gets Read"
"How to Write an Effective LinkedIn Headline"
"How to Get a $10,000 Raise When You Interview For Your Next Job"
Ask yourself, "What does my target market want to know?" Then write a "how to" for them. "The Seven Deadly Mistakes Career Changers Make"
"The #1 Mistake New Graduates Make in Their Job Search"
"3 Common Pitfalls of Networking for a New Job Online"
"They Laughed When I Sat Down At the Piano, But When I Started to Play..."
The piece then went on to tell the story of how nobody thought the main character could play -- and were then shocked when he did. Use stories to invoke emotions, convey a point, and connect with your audience. If you helped a jobseeker negotiate a $10,000 pay increase with his new job, share how you did it. If you helped a client write a LinkedIn profile that drew dozens of calls from hiring managers and recruiters, tell what was in the profile. If your clients get interviews within a week of sending out their resume, tell their story. People love to read success stories, especially if they're filled with nuggets they can use in their own lives. One great way to bring real value to someone else's blog is to create an image tutorial for them. Creating image tutorials, which involves step-by-step pictures, takes quite a bit of effort. Most bloggers won't go through the trouble. That's why if you're willing to do it, they'll be very grateful. For example, if you're writing a tutorial about how a jobseeker can research a company using LinkedIn, use screen shots of the process. If you're ever at a loss on what kind of guest blog post to write, try using one of these ideas. Tomorrow: "Landing a High Profile Guest Blogging Gig"
Guest Blogging How-To: How to Make Your Post "Most Read"
This is the third entry in this week's series, "Guest Blogging How-To" and it focuses on how to write a killer blog post that will get people to visit your site, generate social media traffic (shares, tweets, likes), and that will generate repeat invitations from the blog owner. So how do you make a guest blog post the "most read"? Start by reading the blog you want to guest post on -- get a sense for who their audience is and what kind of style the blog owner has. Also, check for other guest posts. An owner who has allowed other authors to guest post in the past will be more likely to allow future guest posters. Who tends to read their blog? What kind of attitude do writers on this site have? What kinds of topics do they address? Is there a common train of thought prevalent on the site? Read through the comments of past posts. Get a sense for what kind of questions people have and what kinds of posts they tend to respond to. Try to get a handle on what kind of material people like. Is it step-by-step guides? Do they like success stories? Perhaps they have one specific problem that they want to resolve? Before writing your blog post, figure out the "what's in it for me" (WIIFM) that users should walk away from your post with. Should they understand a certain concept better? Should they know how to do something that they didn't know before? In what direct way will your content impact their lives? Then begin your article by telling them this "WIIFM" statement. Make it hard-hitting and compelling and really get them excited about your content before you deliver it. In addition to making your content land better, this also does one other thing. The more personality you have in your writing, the more curious people will be about you. At the end of the article, that makes it more likely for them to click on your link. By going over it a second time, you'll often catch spelling mistakes or be able to reword your sentences in a more powerful way. In other words, give it your all and try to make it perfect before sending it off. Writing a top-notch guest blog post takes a lot of effort. You'll have to refine and refine the post, as well as pour your heart and soul into it if you want it to make an impact. Your reward will be an increase in targeted traffic to your own blog or resume writing business website. Tomorrow: "What To Write In Your Guest Post"
I was inspired to write this post by an "introduce yourself" thread on the National Resume Writer's Association (NRWA) LinkedIn group. What I wrote ended up being too long for that forum, so I've printed it here. 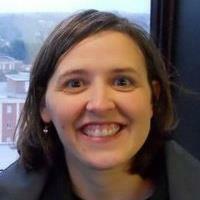 My name is Bridget (Weide) Brooks. (The "Weide" part is my maiden name ... pronounced "Why-Dee.") I live in Omaha, Nebraska with my husband and business partner, Jon. I've been writing resumes since the age of 12, when I wrote one for my dad, who was unemployed at the time. He got a job with the federal government, and I had found my new career! (Well, not really. Yet. And actually, I refer out clients wanting federal resumes nowadays. Hmm. Hadn't thought of that connection before.) Anyway, I revived my interest in resumes when competing at Nebraska's State Leadership Conference for the Future Business Leaders of America. In the "Job Interview" competition, high school seniors would prepare a resume and cover letter for a fictional company ("Merit") and then participate in mock interviews with real business leaders from the Omaha area. I was a pioneer in the tactic of actually targeting my resume and cover letter to Merit's needs. (Most people just wrote generic resumes and cover letters, because they didn't know what Merit did. I gave Merit an industry, market niche, and backstory and made that clear in the cover letter, so the interviewer could "play along" -- making my interview much more effective than my peers.) I ended up being "Runner-up Ms. Future Business Leader of Nebraska" that year (1991). I began dating my now-husband, Jon, when we were seniors in high school. We dated all throughout college, and when it came time to graduate (both of us received a bachelor's degree in journalism with an emphasis in public relations from the University of Nebraska at Omaha in 1996), we decided to start our own business. We decided to focus on the emerging "SOHO" (Small Office, Home Office) market, helping other self-employed folks with their marketing and promotion. I also wrote resumes (a natural tie-in to the business, since it was helping individuals "market and promote" themselves). While we eventually changed the focus of the business from SOHO professionals to somewhat "larger" small businesses, I have continued to write resumes throughout all 16 years of our business. During that time, I also subcontracted as a resume writer for another resume writer and also for CareerPerfect (a national contracting firm). In 1999, I started a trade newsletter (in print format) for resume writers -- Resume Writers' Digest -- because I had questions about the industry that I wanted answered, but the information I wanted wasn't available from the professional associations serving the market. I wanted concrete data about pricing, revenues, busy times of the year, services being provided, etc. -- so I initiated the Resume Writers' Digest Annual Industry Survey. I interviewed resume writers on topics as varied as operating a resume service from home (at a time when most resume writers -- including me -- had business offices), working as a subcontractor, and numerous marketing and promotion topics. One of our most popular features of the print edition was "conference coverage" -- working with a team of freelance writers, we'd give you a sense of the key takeaways in brief write-ups of the major sessions from professional association conferences. Although we had several hundred subscribers, I discontinued the print publication in the Spring of 2005. I brought it back as an online-only newsletter in the Fall of 2007, publishing 2-4 issues annually. I've been blogging about topics of interest to resume writers since June 2007 (wow--coming up on five years now!). And, in September 2011, I launched a membership site for resume writers -- BeAResumeWriter.com -- offering access to all the back issues of Resume Writers' Digest, monthly teleseminars, and forms and templates for resume writers to use in their business. Plus, each month subscribers get a Special Report (like "Write Great Resumes Faster" and "Website Traffic Secrets for Resume Writers") and Pass-Along Materials, which is content you can put your name on and 'pass along' to your own resume clients and prospects. (These have been very popular -- previous topics have included Jobseeker's Guide to Salary Negotiation, Getting Started With LinkedIn In Your Job Search, and Jobseeker's Guide to Online Reputation Management). There is also a "Free" level option -- you get access to streaming audio recordings of previous teleseminars, special reports, and the current issue of Resume Writers' Digest. I'm still writing interview-winning resumes -- although mostly for past clients these days. I'm also going to be speaking at the National Resume Writer's Association conference in Charleston in September on the topic of "How to Create Passive Income and Recurring Revenue for Your Career Services Business." 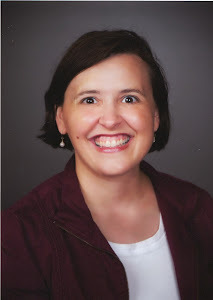 This is the second installment in this week's series on guest blogging. You can read yesterday's post here: "Guest Blogging How-To: Five Days to More Traffic and Higher Visibility"
"How Do I Find Guest Blogging Opportunities?" The easiest way is to contact the owner of a blog that you already read. That way, you're familiar with the content and style ... and, if you've been commenting on the blog, the owner might even recognize your name when you email him or her! If you are looking to widen your audience for guest blog posts, however, consider a site like MyBlogGuest. MyBlogGuest is the largest marketplace for guest bloggers to meet with people who want guest posts. Landing a guest blogging gig on this site is extremely simple: just contact a blogger who is looking for the kind of topics you write about, make a pitch, and you're done. Best of all -- it's free! Keep in mind that MyBlogGuest is best for landing moderate PageRank or moderate traffic sites. High profile blogs like TechCrunch or LifeHacker simply aren't on MyBlogGuest. Instead, to land first and second tier blogs, you should go directly to the blog's author and make your pitch. However, for moderate rankings and PageRank sites, there's nothing easier than MyBlogGuest. Start in this section. This is where bloggers who want to look for guest authors go to advertise. Start with the "Business and Edu" section. Look at all the listings by webmasters. Pick out the ones that make sense for you, based on what your site is about, their site's traffic, and their site's PageRank. Contact them and make your pitch. If you have a good site and a good pitch, chances are you'll get the gig! Begin by selecting a sub-category. You can start with the "Business and Edu" category and then use search terms, like "Career" "Jobs" "Resume" and "CV" to narrow it down. Click through and look at the site and see what kind of blog posts they publish. This section is where you, the guest blogger, can post your own ad. The best way to get a high volume of writing requests is to post in this section, as well as reply to posts in the "looking for a guest author" section. Look through other people's posts and see what catches your eye. Write your post in a manner that's both attention catching and informative. The articles gallery is where you can post your own pre-written articles for other webmasters to use. All they need to do is attribute the article to you in the signature. This is different than article directories, in that each article can only be used once. Once a webmaster puts it on their site, the article is removed by the articles gallery. There are no duplicate content issues. 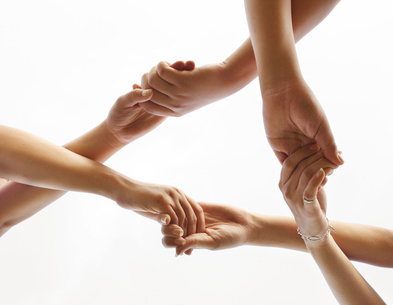 The best way to use MyBlogGuest, as with any other community, is to become an active member and contribute. Build your reputation and use the site to rack up lots of backlinks to your own resume blog. Stay tuned for tomorrow's post: "How to Make Your Post 'Most Read'"
Earlier this month, I wrote about "Why Resume Writers Should Consider Guest Blogging" -- and I got several emails from readers wanting more information. So this week, I'm putting together a five-part series on guest blogging. With so many different possible ways to promote your resume writing business competing for your attention, it can sometimes be tough to figure out exactly which techniques to implement and what to skip. Guest blogging is one of the most powerful marketing tactics out there. Here are just a few reasons why you should consider this tactic in promoting your business. When you write a guest post on someone else's blog, anyone who clicks through to your site is going to be highly targeted traffic. Writing a post for another high traffic website is all it takes to get a flood of high quality web traffic coming your way. I talked in my "Using Content to Capture Career Clients" teleseminar about how posting on other people's blogs (where your ideal clients hang out) can be a great way to get visitors to your site. The key is finding blogs that your target clients already read. Getting backlinks from guest blogging checks off just about every item on a "SEO" checklist: The links are targeted. They're from real sites. They're (often) in-context links. You can control the anchor text. And if you're writing for high traffic blogs, the links will naturally have both PageRank and authority. Many sites have gotten higher Pagerank rankings purely by getting dozens -- if not hundreds -- of backlinks through guest blogging. 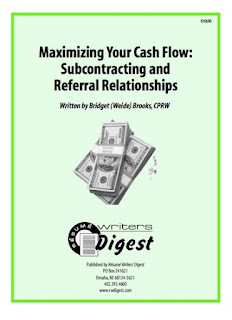 Having relationships in the careers industry will help you advance your resume writing business in many different ways. When you're launching a new resume service (LinkedIn profile writing, anyone?) and need bloggers to write about it, who do you turn to? The people you have relationships with. When you're looking for referrals to the media, who do you turn to? The people you have relationships with. Relationships, relationships, relationships. Guest posting helps build relationships. If you provide something valuable for their audience, they'll be eternally grateful. You can write for other resume writers -- or for affiliated career bloggers (recruiters, HR professionals, association websites, etc.). Another way guest blogging can help is by increasing your reputation. This is especially the case in the careers industry, which is like a "big small town" in many ways. Let's say someone frequents four different career blogs. On all four blogs, they see guest posts by you. Just the fact that you're all over the different websites in the careers industry is going to do a lot for building your reputation. When you guest blog post on someone else's site, that's an implicit endorsement from them. It also gets you more exposure, which builds credibility. Guest blog posting also helps you expand your own ideas. If you're invited to guest post for a Fortune 500 company on job search techniques, that's going to require a different line of thought than writing for a small association blog. When you guest post, you have to stretch your ideas, concepts, and identity to bring value to people who are slightly different than your typical market. This helps you develop and grow your ideas and concepts. These are five of the main benefits of guest blogging. It's one of the highest ROI activities any resume writer who regularly blogs could take on. Part III: How to Make Your Post "Most Read"
"Building Affiliate Relationships to Grow Your Resume Business"
"Feed the Media: How to Get Publicity For Your Resume Writing Business"
"Using Content to Capture New Career Clients"
Click here to get access to the recordings of all the teleseminars above -- PLUS, keep reading to see what else you'll get! "Using Google Checkout In Your Resume Writing Business"
"101 Productivity Principles For Getting Things Done"
"Advanced Features of Microsoft Word: Document Review"
"Practical and Creative Online Business Branding"
Click here to get access to this month's special report -- "Emotional Marketing: Connecting With Resume Clients" and the bonus special reports listed. You'll also get access to Pass-Along Materials -- brandable, ready-to-go content you can use with your resume writing clients. These are articles, checklists, and special reports provided in Microsoft Word format that you can simply stick your name on and use "as is," or edit and/or rewrite into new content. These resources will help your clients be more effective in their job search, but you don't have to take hours and hours to write them. Each month, you have access to a unique PAM content package. Click Here to Join BeAResumeWriter.com and Get Access to the "What To Do Next With Your Resume" Pass-Along Materials Report. I've Nicknamed it, "You've Got Your Resume: Now What?" 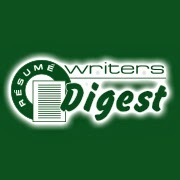 You'll also get access to the ENTIRE BACK ISSUE ARCHIVE of the Resume Writers' Digest newsletter. This is literally hundreds of pages of great articles and information dating back to 1999, including recaps of conference sessions on resume writing, marketing, and business management. Have you heard that blogging can build your business? Check out our 10-video series on "Building a Better Business Blog" -- currently available for Bronze members. Previously, we had a 10-video series on "Web Marketing Intensives." These resources are changed out periodically. All that ... for $10/month. Seriously -- is there a better value for your dollar? Last week, I helped out at a three-day conference for insurance and financial professionals. One of the sessions I was most looking forward to sitting in on was "Crossing the Generational Divide," with Preston Swincher of The Center for Generational Kinetics. Swincher helps people understand how generational differences affect the workplace and specifically, communication issues. He started with an exercise where he asked the participants in the room (approximately 100 insurance agents and financial professionals -- most of whom were between the ages of 40 and 70) to think about the most menial job they ever had, how old they were when they started that job, and how much they earned at that job (by the hour). This being Nebraska, the "best" response was $.12/hour or a penny a cow for milking cows. Both of those respondents would surely be breaking child labor laws if they were doing it today, of course. He pointed out, however, that even if the individuals made 75 cents or less an hour in that first job, "you still saved (part of that) money." Audience members nodded. 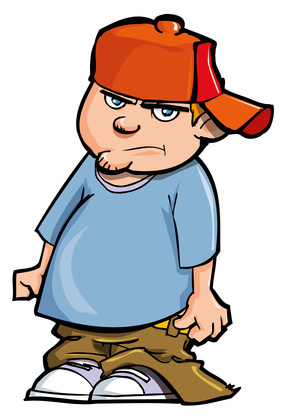 They laughed when he said, "I'm part of Generation Y. If we earn $30,000 a year, we spend $50,000. It's the new math." Swincher pointed out that — on average — Generation Y workers go to work at 3-5 years older than every other generation started working. He said, "That changes things. It changes how you look at work, and how you look at responsibility." He pointed out that Gen Y workers are entering the "work" stage at a different "life" stage compared to other generations. He drew another knowing laugh when he said, "It's our very first job ... so we're probably ... 27." Swincher asked audience members to think back to all the things they learned from that first job. He asked, "If you could offer one sentence of advice for that generation (Gen Y), what would that advice be?" Remember who are customers are … they are the people who actually pay you. Take pride in what you are doing. Act on your commitments, not your feelings. Be different in order to be superior. Be willing to pay the price; get over this feeling of entitlement. Swincher said the best piece of advice he's heard so far, from an audience in Dallas, was from an older gentleman who contributed, "Pull up your pants." Swincher noted that people want to be motivated — they want to be led from their personal life experiences. When they look at this generation of workers, older generations don't see what's in front of them — instead, they see themselves when they were the same age. The young worker sees his parents, "who may or may not need help restarting a computer." More laughs from the audience. That separation of perspective is a huge challenge for some people. Swincher noted that for the first time ever in this country, we have four generations working side by side all at the same time. Swincher's employer, The Center for Generational Kinetics, looks at what shapes people and how it influences behavior in the marketplace and how we can forecast that. You can find out more about what Swincher had to say in the next issue of Resume Writers' Digest. Yesterday, I wrote a blog post "Before You Can Motivate, Seek to Understand Your Resume Prospects." I'd like to talk more about motivation today. I'm reading a book, "Yes! 50 Scientifically Proven Ways to Be Persuasive" (I'm only on page 44, but it's very interesting reading so far...) and wanted to share some ideas on using copywriting principles to motivate prospective resume clients into buying from you. Of course, many of these same ideas can be used in your actual resumes too. One way to look at copywriting is as the art of creating motivation using the written word. The written word carries profound power to persuade. How do you use this powerful tool to create motivation? By mastering and implementing these five principles. Most resume writers focus a lot of attention on telling consumers why their resume writing service is the best. Yet at the end of the day, that's not what consumers care about. Consumers care about what you can do for them. They don't really care that you have three certifications or that you offer a 30-day guarantee. They don't care that you've been in business longer than anyone else, but they do care about reliable service. Most important, however, is that they care that your resume can get them interviews ... and ultimately, the job. Translate statements from "about me" to "about what we can do for you." Power words or action words are words that pack an emotional punch. Instead of saying that the new resume will help them get interviews, say that the resume will help secure more interviews and job offers. Instead of saying their resume will help them get more job interviews, say their phone will be ringing off the hook from prospective employers wanting to hear them. Power words create mental imagery and have an emotional tone that helps sell your product. Prove every claim you make. People today are extremely skeptical -- and rightly so. There are so many people making bold claims that promising a benefit simply isn't enough anymore. Prove what you're promising, then prove it again and throw some proof on top. It's much better to solidly prove that you can help someone get more interviews than it is to loudly proclaim that you can help them get interviews without proof. People won't feel motivated unless you can prove that you're the real deal. And unfortunately, many resume writers don't follow up with clients to be able to gather supporting data needed to provide proof that their resume services work. Doing business with a company for the first time is very risky for consumers. They don't know if you'll fulfill your claims, they don't know if your resume writing is any good, they don't know how good your service is — they really don't know much at all about you. That's why risk removal is such a powerful way to get people to act on their motivation. Risk removal doesn't actually create motivation. Instead, what it does is remove barriers to getting people to act on their desire for your product. Add a powerful money-back guarantee to your resume service to reduce and remove risk. When people think they're going to miss out if they don't act, that's a powerful motivator. It's called the "Fear of Missing Out" or FOMO for short. Learn to leverage FOMO in your copywriting and you'll be able to motivate and generate real action. Use it to take people from wanting your product to actually buying it. Speakers and business owners who focus on trying to motivate people often fail. Why? Because wanting to motivate someone is inherently a self-centered desire. "I want to help people find a job," or "I want to build my resume business," or "I want people to buy," are all "I-focused" statements. Instead, successful resume writers don't start with what they want. They don't start with wanting to motivate jobseekers; they start with what the customer wants. The Magic Question: What Do You Want? When it comes to business, what the customer wants is king. If the customer wants something that's different than what you want to provide, you'll have to ask yourself which is more important — the success of your business, or going the path you chose. Pixar started out as a company designed to manufacture 3D rendering technology. They lost money until they realized the market was in actually creating the movies themselves. IBM was one of the world's largest computer manufacturers for years, until the personal computer revolution. They then realized their customers just didn't want what they had to offer anymore, and had to reform their company into one that did consulting instead. The same applies to resume writers. People often get into business with one set idea of what they want to provide, without asking questions or understanding where their customers are coming from first. If you want to motivate jobseekers, first start by understanding them better than anyone else does. If you can understand your audience better than your competitors, you'll be able to motivate them better than your competitors. What is the real pain point with your target audience? Why are they willing to spend money on your resume service (instead of doing it themselves)? What is it like to not have a solution to their pain yet? How do people decide on how much they want to pay? Is it based on price, as is a commodity? Or is it based on how likely they believe you'll be able to solve their problem, as it is in consulting? Try to understand how your customers decide on a solution and why they haven't picked any of your competitors. Try to understand what they want more than anything else. When you speak, if customers get the sense that you've really taken the time to understand them, they will respond. 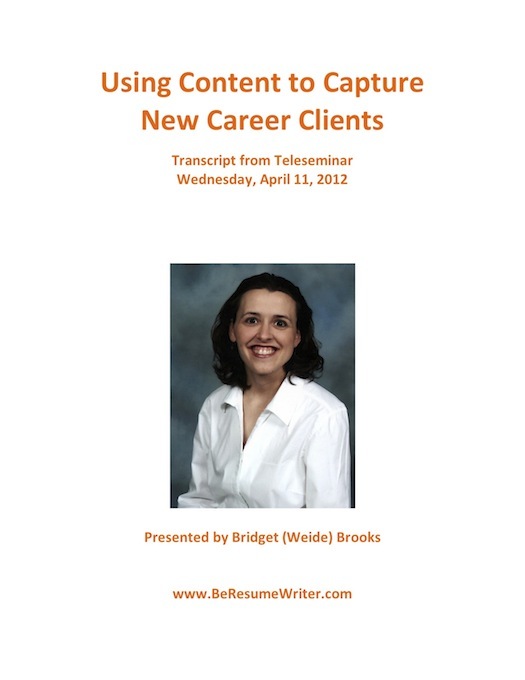 On last month's BeAResumeWriter.com teleseminar, "Using Content to Capture New Career Clients," I talked about the idea of "Write where the people are." In looking at my blog statistics today, I've had more than 74,000 pageviews on my blog since I started it … but many of the resume writers I talk to who have blogs have much less traffic. If your blog doesn't get much traffic (visitors to your blog), it can feel like you're shouting in the woods. No one is listening. The concept of guest blogging is taking that message to the streets -- specifically, the corner of a really big city. Go to where the people are, and share your message. One way to do that is through guest blogging. There are several advantages to guest blogging -- as I mentioned, it's a great way to drive traffic to your blog or website. It's also a good Search Engine Optimization (SEO) tactic. Finally, it can also help strengthen your brand as a resume writer. Not all guest blogging opportunities are created equal. While my general feeling is that you should consider any and all guest blogging offers, some opportunities will prove more fruitful than others (in terms of visibility and traffic). Others might not have a large volume of blog visitors, but can help boost your credibility. You also need to consider the quality of the target blog. Here’s why: presumably you’re going to put a bit of work into writing a top-quality blog post. You’re going to focus on providing value and benefit to the blog's readers. If that post is then placed on a blog that doesn’t have a good reputation -- or a blog that really doesn’t fit your target market -- then you may be doing yourself a disservice. Instead, work hard to earn guest blogging opportunities for top rated blogs that fit your niche. You’ll be able to reach people who are actually interested in your information and build your brand. Aim for quality over quantity. While your guest post content will differ based on the purpose and mission of the blog, it’s also important for your voice and style to remain consistent. Part of building a strong brand as a resume writer is helping your readers recognize you immediately. Your voice and writing style can help make your brand memorable. It boosts awareness. For example, if you have a no-holds-barred style that likes to stir the pot and create controversy, that same style should remain consistent -- regardless of where you’re blogging. The look and feel of your blog post will ideally remain consistent, too. If you regularly include text boxes with side notes on your own blog, then include them in your guest posts too. Be consistent. Once you have published a guest post on a notable site, start marketing the heck out of it. Link to it on your social networking sites (Facebook business page, Twitter, LinkedIn -- even Pinterest!). Send a snippet and a link to it in your email newsletter. Share a link to it on your own blog too. Guest blogging can be fun and it can certainly be an effective tool to drive traffic to your resume writing business website. However, the strongest reason to pursue guest blogging opportunities may be to build your brand. If you want to learn more about content marketing (including using blogging to build your resume writing business), check out the "Using Content to Capture New Career Clients" teleseminar recording. I've written lots of blog posts -- and even a special report -- on developing referral business. But in talking with a resume writer colleague yesterday, I thought of a couple of issues that make matching up a referral among resume writers a little bit easier. Many resume writers ask for colleagues who are interested in a referral on the professional association E-Lists. The usual response is a series of email responses along the lines of "I'll take the client." Having been on the "asking" end of soliciting a referral writer, I can tell you that doesn't make it easy to choose a writer to send to prospective clients. That's why you'll sometimes see resume writers ask for prospective writers to contact them off-list, or they'll say something like, "The first three writers to respond will be forwarded to the prospect." Only respond to referral requests that you are qualified to serve. In some cases, resume writers are overbooked and can't accept a client due to time constraints. But in most cases, referrals are made when a client needs a specialist. If you're not a specialist, don't use this opportunity to pick up a new client. This is not your chance to get some practice with an unfamiliar field. You're not serving your new client -- and you're not helping your colleague. You might be a great resume writer, but the referring resume writer wants to look good too. Establish your expertise and secure referrals without competition. If you're a specialist in a particular field -- information technology, federal resumes, military transition, engineering ... whatever -- you can cultivate referrals by establishing your expertise. Instead of responding to general requests, you can elicit direct referrals by participating on E-Lists as a subject matter expert, and the next time someone is looking to refer a client within your specialty, they will likely contact you directly. Prepare yourself for referrals. If one of your client acquisition strategies is to solicit referrals from colleagues, prepare for for the referral request. Create a one-page sheet demonstrating your credentials. This should include your specialty area, credentials (especially any industry-specific certifications or training), scope of work you perform (resumes, cover letters, LinkedIn profiles, etc. ), related books you've been published in, and any testimonials received from clients in this field/industry. Outline your referral rate. Many resume writers are happy to make a referral to a qualified colleague simply to serve a client -- but offering a referral fee can help make it worth the referring resume writer's effort to find a writer for the prospect. The "standard" fee for referrals is 15%, although it can range from nothing to 30% or more. By outlining the referral fee in your response to the requesting resume writer, you might get the nod over another writer who doesn't offer a referral fee. If you're on the asking -- or receiving -- end of referrals (or want to be! 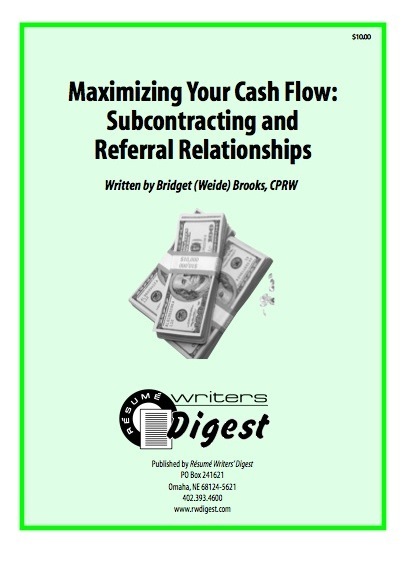 ), check out the "Maximizing Your Cash Flow: Subcontracting and Referral Relationships" special report.